It’s Sherry Week and I’ve been sent a bottle of sherry to sample and match with some food. Until the bottle arrived, I had no idea what I would cook – there’s a huge variety of sherries – from bone dry Amontillados through to rich treacly Pedro Ximénez. So of course what you should pair your sherry depends on which bottle you have. So, why Apple Roses? Well, an English rose for what must be the most ‘English’ of Spanish Sherries. My sherry turned out to be a bottle of cream sherry – which as I am sure you know is not made with any dairy but is a blend of Oloroso with Pedro Ximénez to create a semi-sweet wine. In England we probably all know it as ‘Aunty’s favourite’ – Harvey’s Bristol Cream – brought out at Christmas to drink with mince pies while watching the Queen’s Speech. Not a bad idea as it happens – it works very well with sweet, autumn fruit dishes. Apparently, it was named when a woman at a sherry tasting in the late 1800s tried a new variety of ‘Bristol’s Milk’ (Bristol being a Port that was famous for importing sherry). It was sweeter and richer – and so, legend has it, she declared ‘ If that was milk – then this is cream’ and Harvey’s Bristol Cream was born. It’s actually quite an intense wine and works well with fruity desserts. I tasted it and it was intensely spicy and rich – so I wanted to use that lovely trio of autumnal spices – nutmeg, clove and cinnamon. 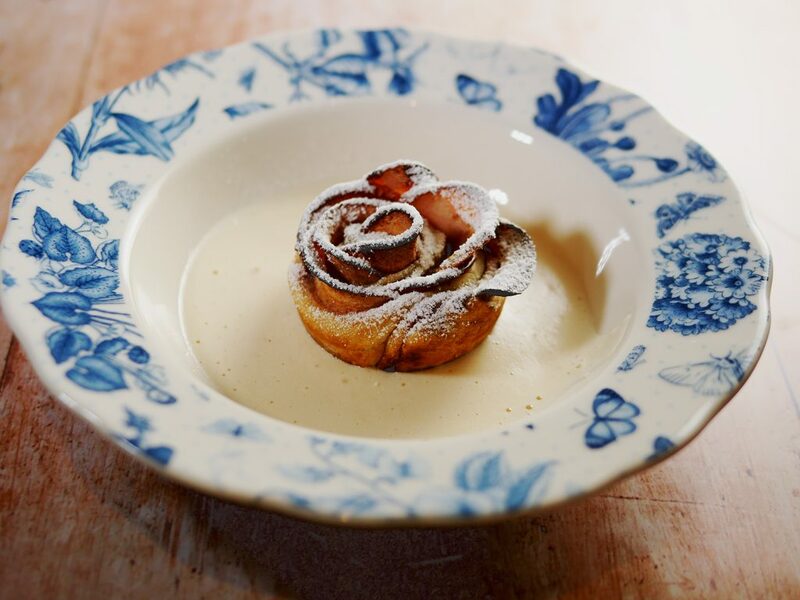 And, since at this time of year every English household is overwhelmed with apples, I set about making an apple dessert as a pairing. Just because I fancied pimping things up a bit, I made a sherry sabayon too, with the cream sherry. The result was delicious and quite stunning. Sabayon is just an alcoholic whisked custard made with sugar, egg yolks and sherry or marsala wine. I’ve made it for years – originally with a hand whisk. But, it is something that takes a lot of patience – and an electric whisk lessens the pain considerably. The apple roses are something that I’ve seen a lot on the internet. Essentially a poshed up baked apple served in a puff pastry case, they are an excellent way to create a dish with a bit of wow. You can make them up in advance and then pop them in to bake while you are eating your main course. Perfect. 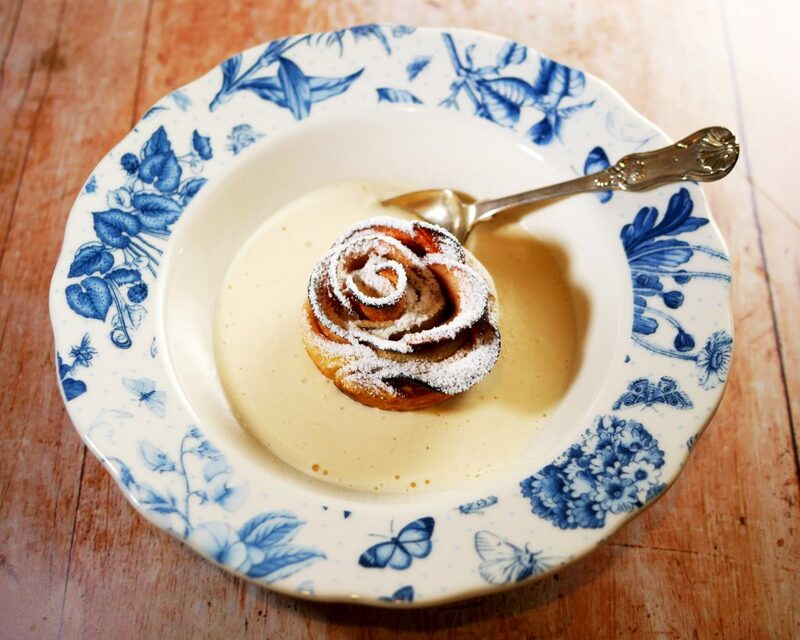 And, pairing a sweet spice scented rose with an oloroso (scented) laced cream sherry seems achingly appropriate. The dark spices and sugar caramelised to make a deep brown glaze over the red apple skin which looks almost burnt here – but it tasted delicious! So without further ado, here’s the recipe if you’d like to try at home. This makes two roses each. 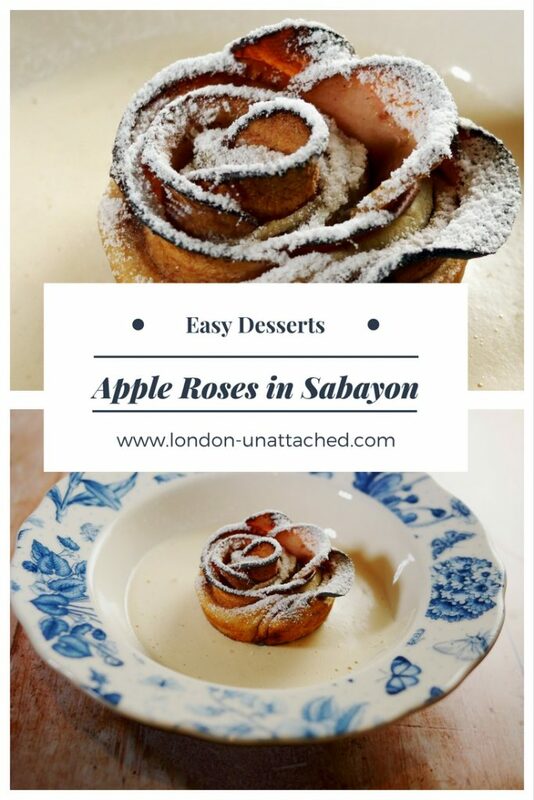 They are excellent with a glass of cream sherry even if you don’t make the sabayon! Fold each slice of pastry in half along the long edge, so that the apple slices are neatly tucked in and press down gently. When you are ready to bake, pop in the oven for 40-45 minutes. 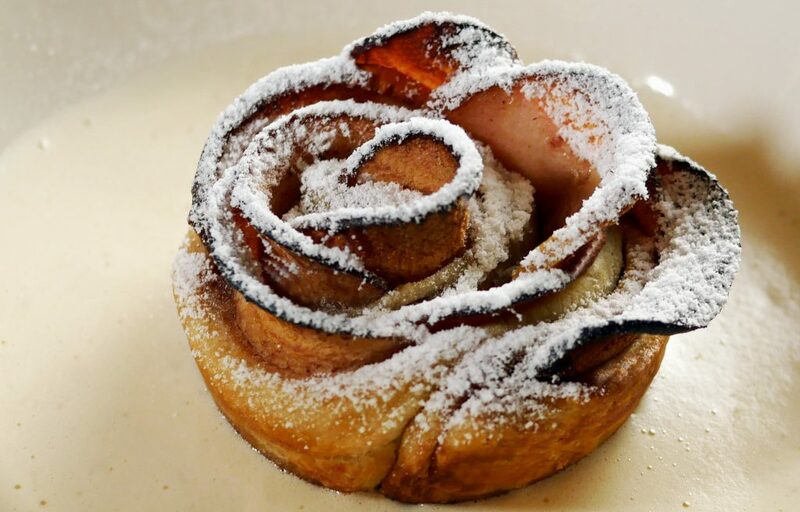 The edges of the 'roses' should caramelise but if the pastry starts to burn, cover with foil while the roses continue to cook. Wisk for around 4-8 minutes till the mixture becomes very light and frothy - about 3 times the original volume. You should be able to make a trail of the mixture with a metal spoon. This is my #SherryWeekBlog – a recipe to celebrate #SherryWeek. Though personally, I don’t see why you wouldn’t want to drink sherry all the year round. Real sherry comes from a particular region of Spain, near Jerez de la Frontera in Andalusia. Mine was a DO Jerez-Xeres sherry and came with the mark of authenticity on the label. Most sherries are made from the Palomino grape, though the sweetest sherries are made from Pedro Ximenez or Moscatel grapes. Dark, heavier sherries like the Oloroso that makes up part of the cream sherry I was sent, are allowed to oxidise as they age in barrel. 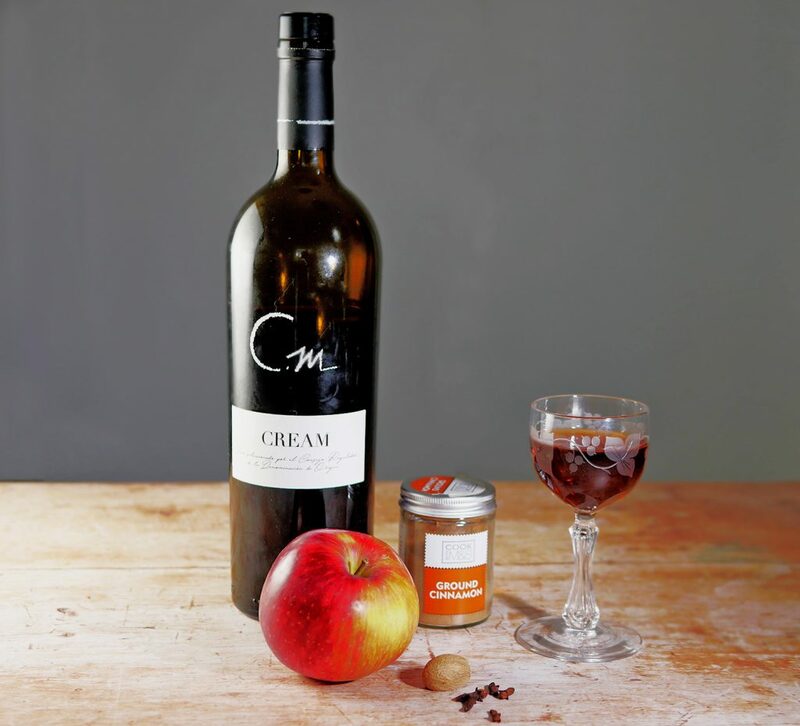 And, as mentioned before, cream sherry is usually a blend of Pedro Ximenez and Oloroso – to make a semi-sweet wine that is perfect for pairing with light, spicy fruit desserts. If you’d like to try this recipe later, why not pin this post for later! This looks delicious! Thank you for sharing. That looks yummy and beautiful!!! Wow. It looks just so yummy! Trying it this weekend…hopefully, it will turn out good. What a lovely idea that makes something simple into something special. Wow!! This looks soooo amazing!! Going to try it soon, to impress hubby’s boss when he comes to dinner! !